When Gwen and I were Jaded to the Church, I mentioned in the previous blogs that I decided to stop attending Church for a time. In a very real sense, I boycotted the religious organization entirely, pretending that I could simply do it all on my own. I was in for a surprise—by God. Never will I leave you; never will I forsake you. 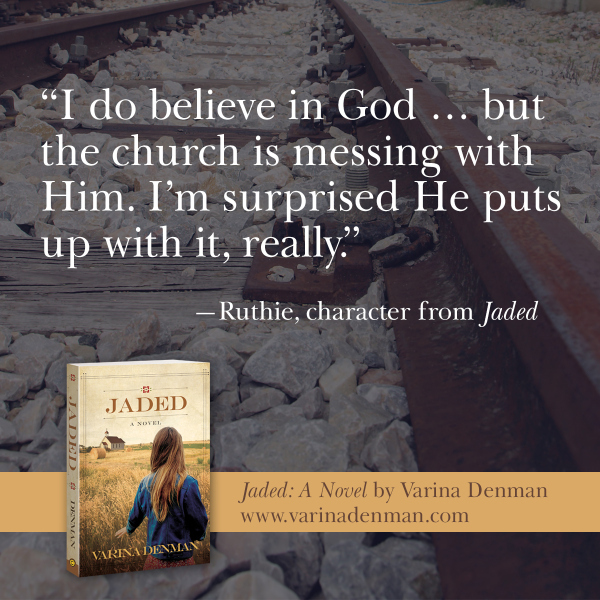 It didn’t take me long to realize that it was not God who jaded me, it was the church. Even so, I fought returning to the church not wanting to give in to ridicule and abuse. But as Scripture taught me to love my wife, my neighbor and to never turn my back on those in need, staying home and avoiding others made no sense. For weeks I fought the Lord, but he never let me go. He pursued me, and used my wife to reach me, and turn me back to him. When it came time to return to the church, I did so reluctantly. But in doing so, I trusted the Lord to provide and not judge me. I also trusted him to provide people within the church who would also not judge us, especially children. The Lord urged me daily, nudged me lovingly, and encouraged me regularly throughout this difficult time. Without the Lord’s encouragement, I may never have returned. I fear the number of times that tragedy occurs in the lives of those around us. Read Varina’s blog on this issue HERE. Previous: OBAMA CARE — FAILURE OR SUCCESS?